Though I’m usually one to head for the mountains, this year I made it a point to explore Ecuador’s coast. That’s why after a stressful week, I decided to take advantage of a long weekend to pack my bag and jump on a bus to Mompiche! 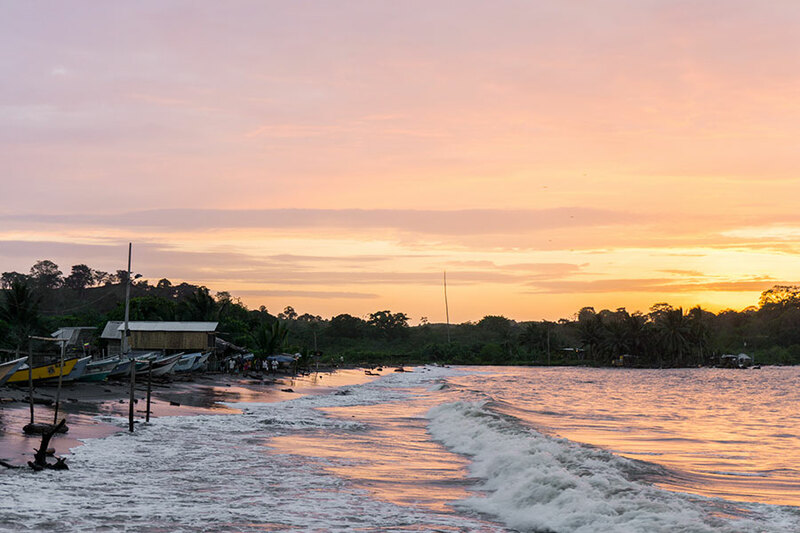 Located in the province of Esmeralda, this quiet fishing village no bigger than a few blocks is the perfect place to wind down, read a book while listening to the sound of the waves and have a drink between friends while watching the sunset at night. Welcome to this oasis of tranquility! If coming from Quito, there are unfortunately no direct bus to Mompiche. You’ll have to first take a bus from one of the capital’s two bus terminals, Carcelen or Quitumbe, to Esmeralda and then a second one to Mompiche. 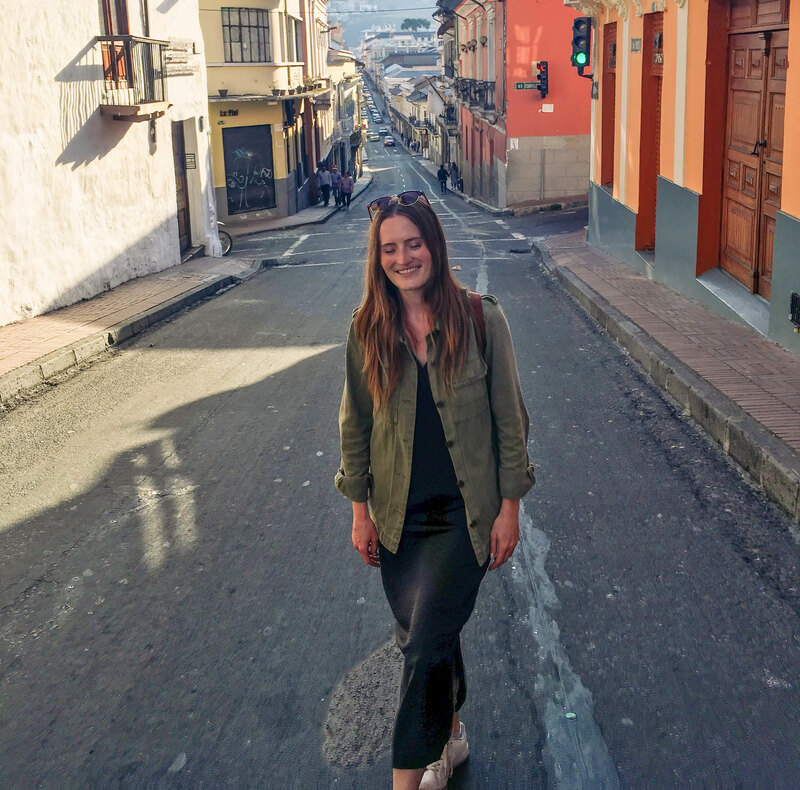 The buses typically depart every hour at night from Quito and cost between $9 and $11 depending on the level of comfort. Try to take the latest bus that you can because the bus ride is about five hours and you don’t want to arrive in the middle of the night at the terminal in Esmeralda because the first bus that will take you to Mompiche departs at 6:30am and costs $4. Mompiche’s appeal is that quite frankly there aren’t many things to do besides relaxing… which is as amazing as it sounds! But that doesn’t mean that you can’t have fun beach hopping until you find the perfect tanning spot! Also called Playa de los Pescadores by the locals, it is the closest beach to the town and is the place to be for wanna be surfers. Besides catching the waves, you can also enjoy a walk along the shore or watch the town wake up in the morning to the rhythm of the fishermen pushing their boats to the ocean. Watch out for low and high tide though, when the tide is high, you won’t be able to access the beach anymore and will be better off enjoying a meal or a drink at one of the small restaurants and bars located along the beach. If your heart is set on wilder beaches, Playa Negra is the one for you. The beach owes its name to its atypical black glittery sand. With no restaurants, bars or even stands in sight, be sure to bring some water with you and enjoy the tranquility! The beach is at a 40 minute walk from Mompiche but you could also take a taxi. A few meters away from Playa Negra (literally), the landscape changes completely and goes from the exotic black sand beach to the Caribbean like heaven. Isla Portete is only accessible by boat ($0.50) and is great to spend the day. Contrary to Playa de los Pescadores and Playa Negra, there are a few stands that sell street food and drinks and the palm trees will allow you to take a break from the sun and cool down in the shade. There are a lot of hostels to choose from for backpackers, some along the beach, others in town. Keep in mind that Mompiche is really small so you will never been further than at a 5 minute walk from the beach. I personally stayed at The Mudhouse Hostel and would strongly recommend it! The owners are very sweet and will happily give you recommendations on how to enjoy your stay to the fullest. The rooms are clean, each bed has an insect net, there’s a shared kitchen and the wifi is good. Bonus: a bed in a dorm only costs $8 and it is eco-friendly! There are no ATMs in Mompiche so make sure to bring enough cash with you to cover all of your expenses while you will be there. If you run out of money, the closest town with an ATM machine is Atacames, at a two hour bus ride. Let me know in the comments which beach you would like to spend the day at!